Windows users often use the Run Command box to launch programs. In addition to programs, the Run Command can also be used to launch various admin tools. There are a bunch of ways out there to launch a program as administrator in Windows 10. Typing the program’s name in the Start menu/taskbar search field and then pressing Ctrl + Shift + Enter key is the easiest way. Most users type the program’s name in the search field, right-click on the program’s name and then click Run as administrator option to run a program as administrator. In addition to methods mentioned above, there is a new way to run programs as administrator in Windows 10 version 1803. Starting with Windows 10 April 2018 Update, users can use the Run Command to launch programs as administrator. As you likely know, there are third-party programs out there to make it possible but you don’t need any of them if you are running Windows 10 April 2018 Update (version 1803). To start a program as administrator using the Run Command, you just need to type the executable name in the Run Command box and then simultaneously press Ctrl, Shift and Enter keys (Ctrl + Shift + Enter). We feel that launching a program as administrator is easy using the Start menu as you can type in the program name and then press Ctrl + Shift + Enter keys. Whereas while using Run Command, you might not be able to launch a program by just typing its name. Most of the built-in programs and popular third-party programs can be launched by typing their names, but not all programs can be launched by typing their names. For instance, to launch Office Word, you need to type WinWord or WinWord.exe instead of Office Word or Word. 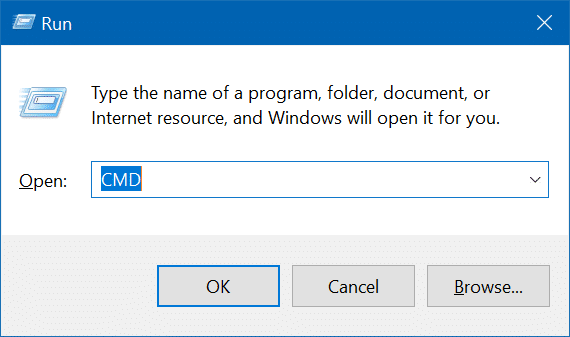 Nevertheless, we now have a new way to run programs as an administrator in Windows 10. You might also like to read our how to make the Command Prompt always run as administrator article.